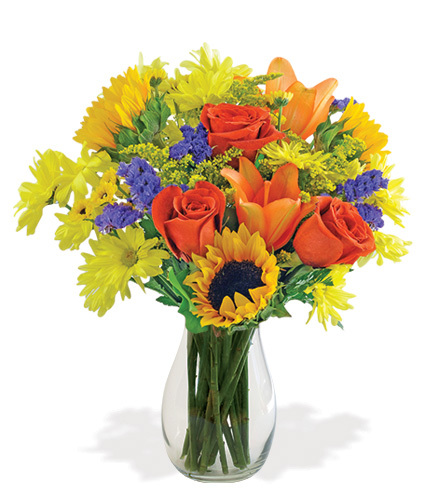 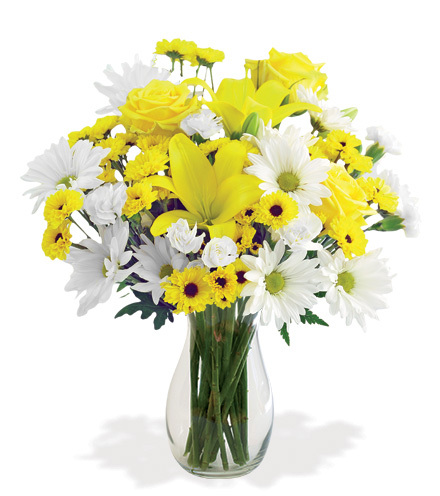 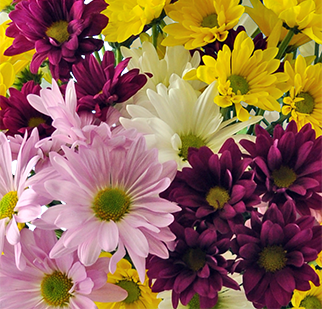 Extend bountiful wishes of warmth this season with our Radiant Sun Bouquet. 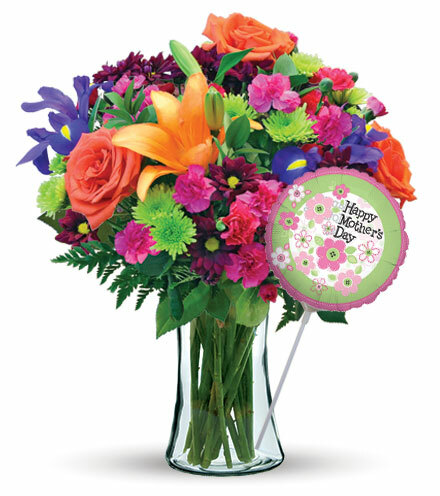 This display is stunning with bright orange lilies, gorgeous sunflowers, yellow Viking pompons, yellow daisy pompons, deep orange roses, and purple statice stems. 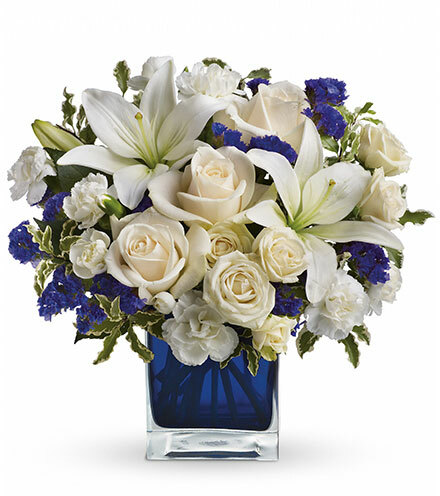 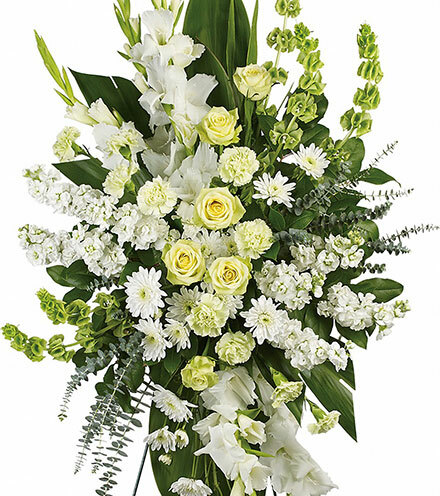 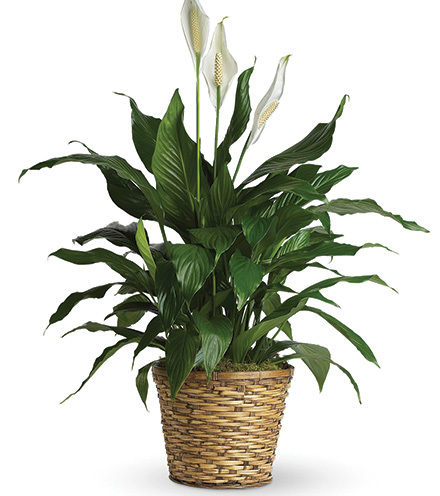 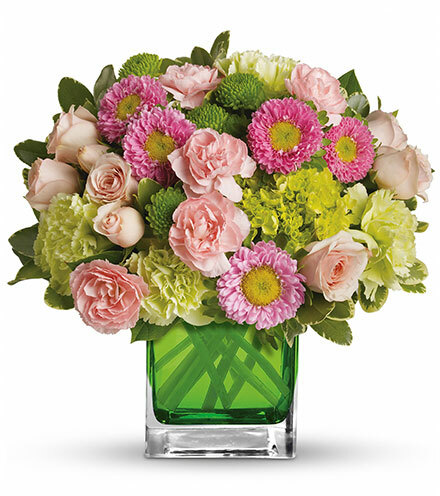 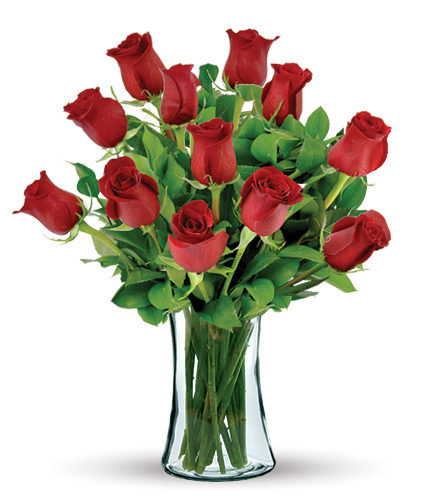 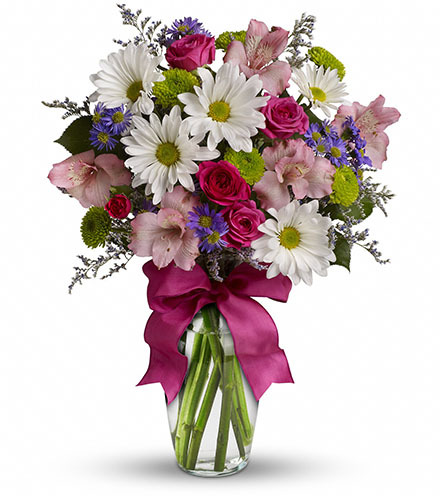 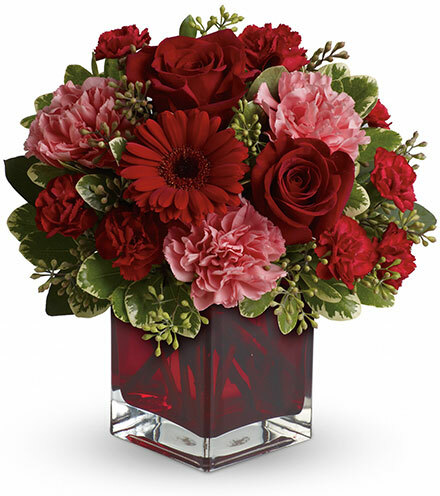 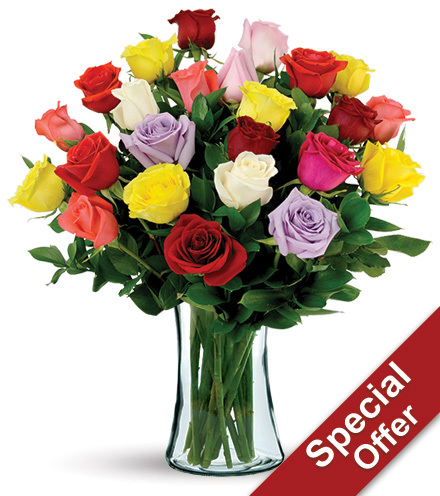 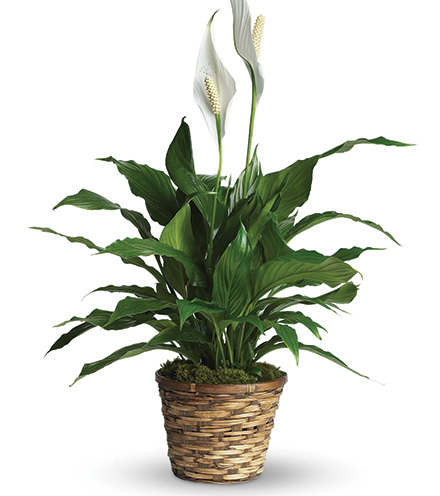 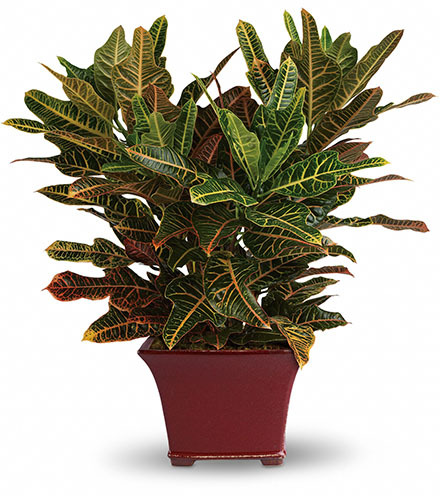 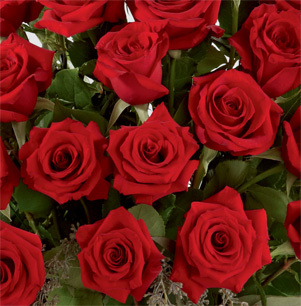 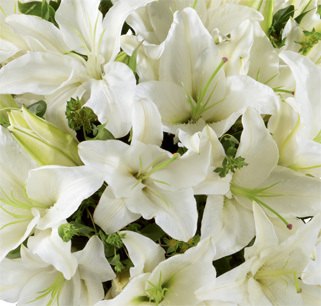 Each bloom is picked fresh and delicately arranged against a background of lush greens within a charming glass vase. 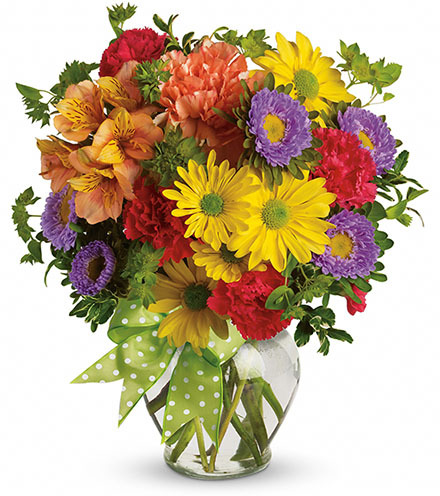 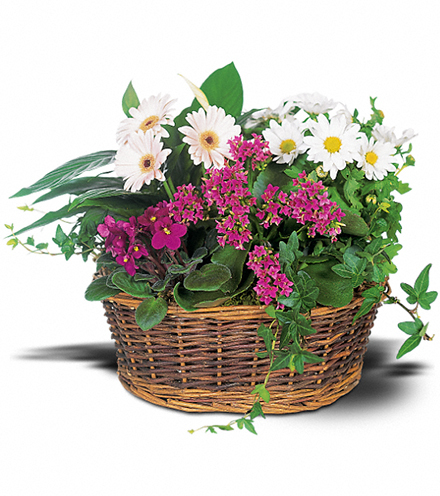 With colors of fall and Thanksgiving and the freshness of a cool walk in nature, this arrangement is suitable for occasions of thanks, congratulations, get well, or just to say "Thank you." 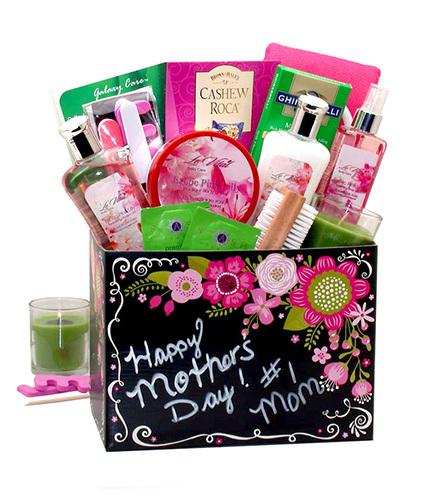 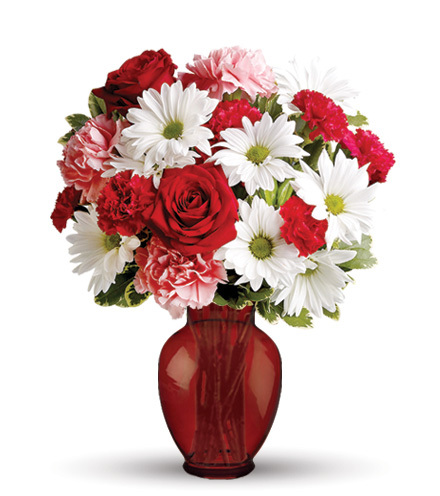 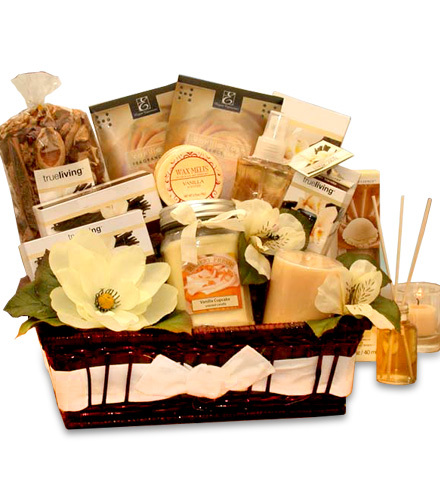 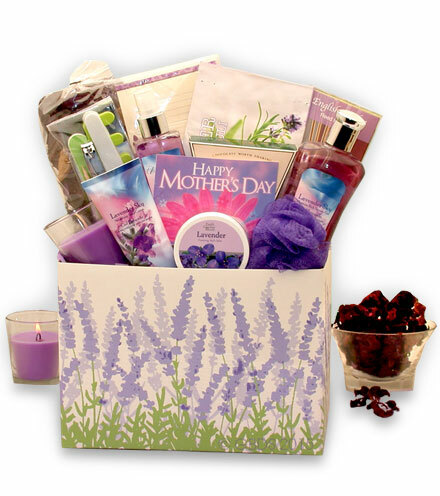 Add some chocolates or a stuffed bear to your order to ensure an uplifting memory for your recipient.